Posted September 25, 2018 by Cultbox News & filed under Headlines, News. HBO is working with the Game Of Thrones team and Tourism NI to preserve the show’s Northern Ireland filming locations and convert them into official tourist attractions. Various places associated with Thrones have already become popular pilgrimage sites for the show’s legions of fans, with Croatia’s Dubrovnik (aka King’s Landing) being a particular favourite holiday destination for Westeros obsessives. But this will be the first time that HBO has taken an official role in managing the locations from Thrones for tourists. 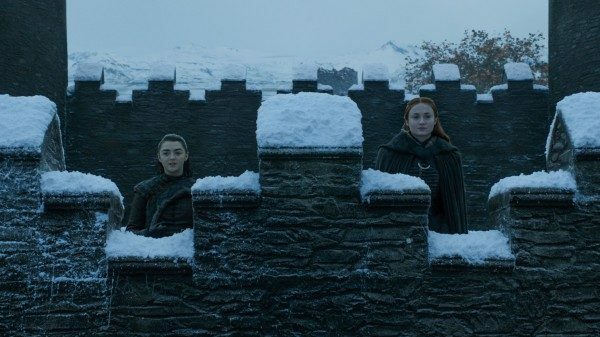 Castle Ward in County Down, which doubles for Winterfell, is perhaps the most iconic location to be involved in this project. The Magheramorne location that becomes Castle Black is set to become part of this collaboration between HBO and Tourism NI. We’ll be sure to keep you updated as we hear more about this project. With Game Of Thrones set to end next years, we fans will all need something to do!